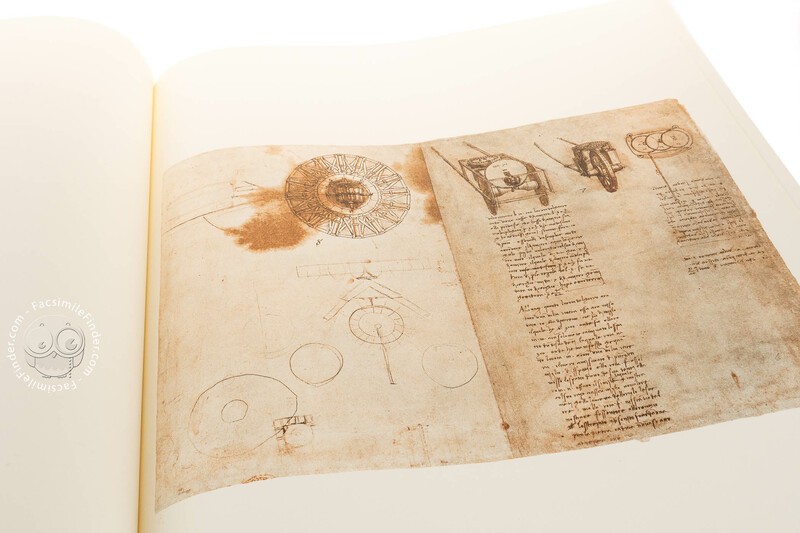 The Codex Atlanticus is the most extensive collection of known Leonardesque documents. 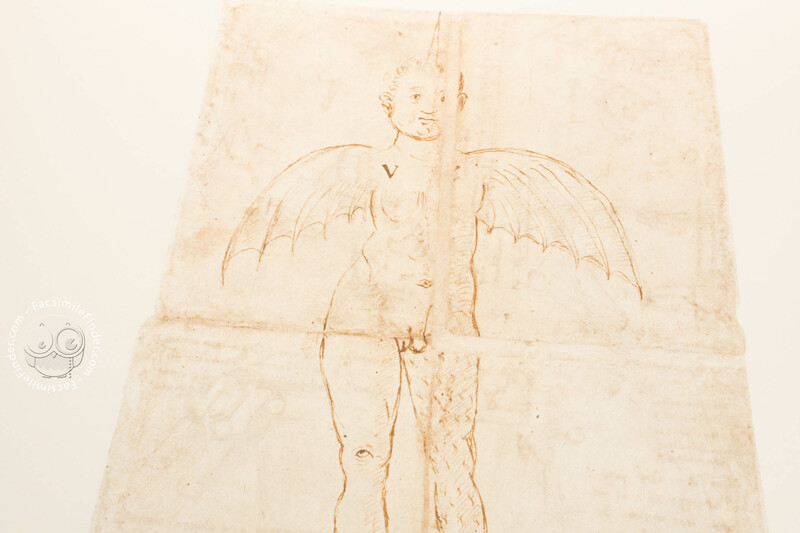 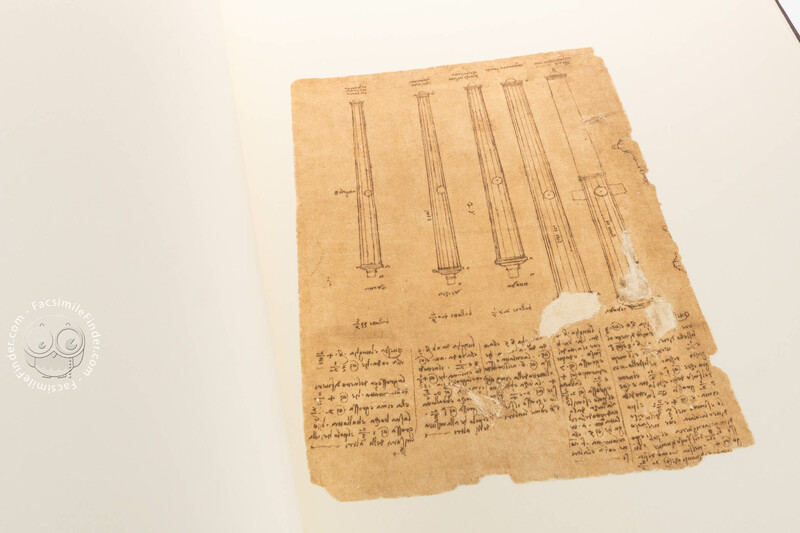 In the late 1500s, the sculptor Pompeo Leoni arrived in Madrid with numerous sheets and fragments collected in Italy, which encompassed almost the entirety of Leonardo’s intellectual production. 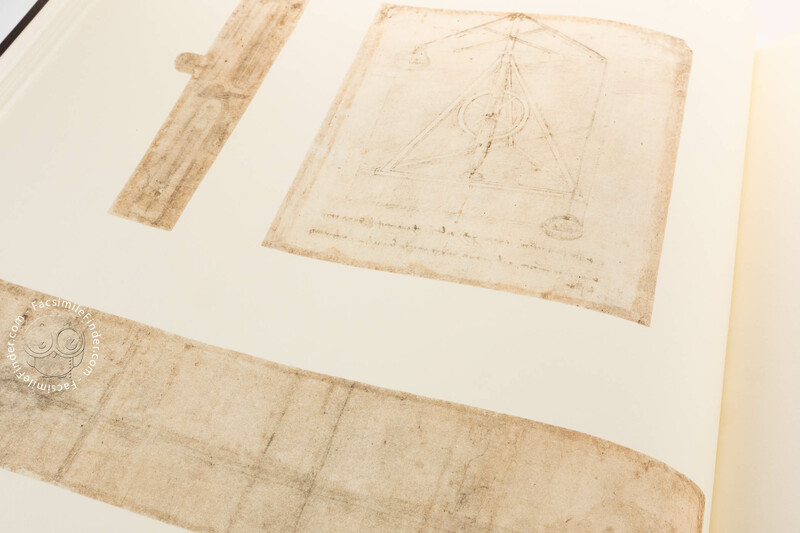 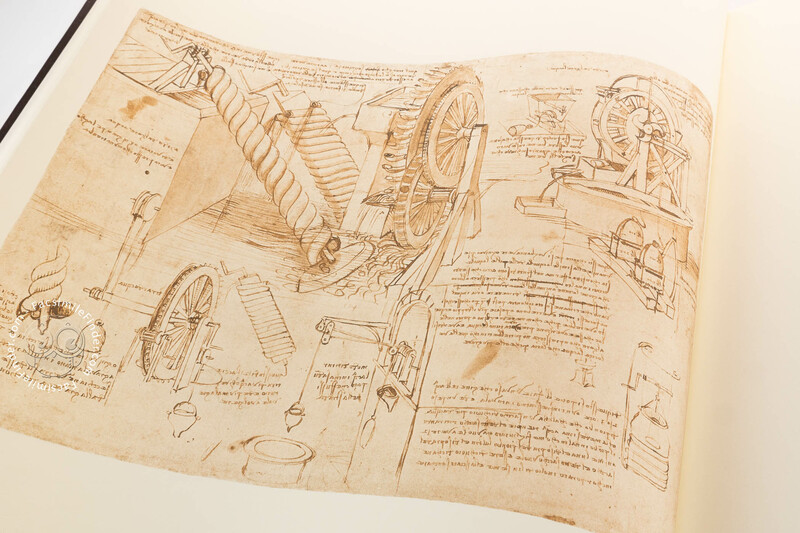 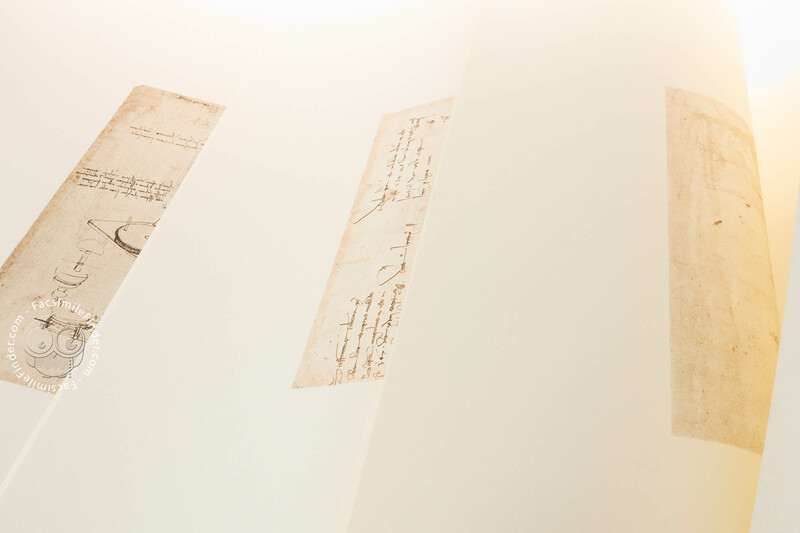 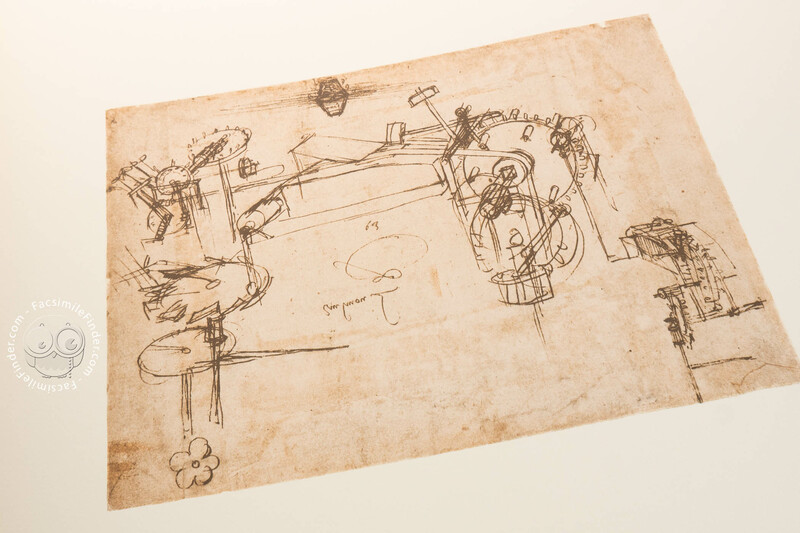 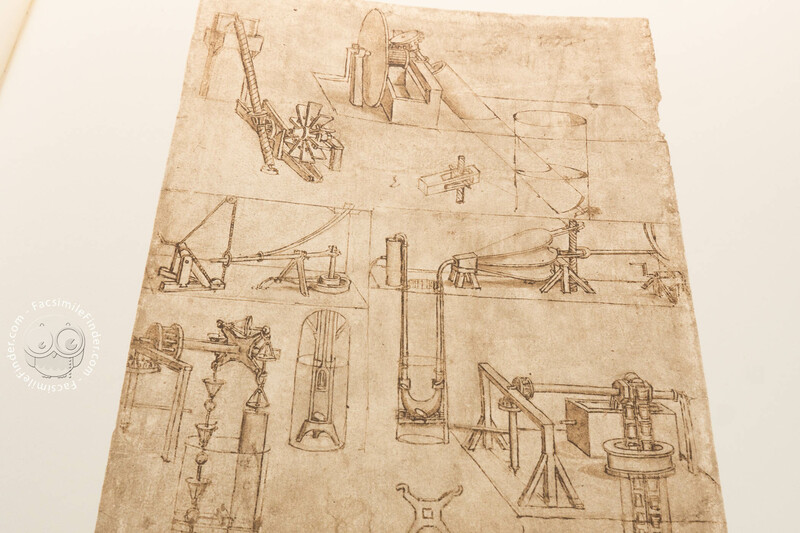 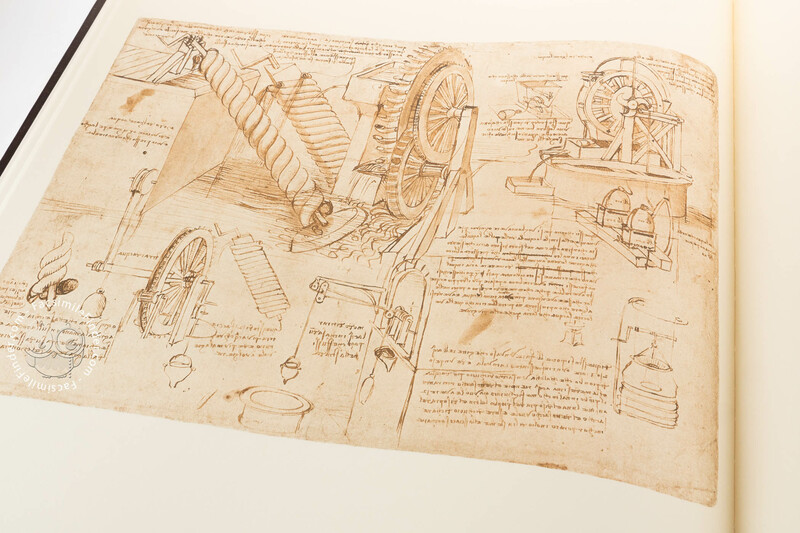 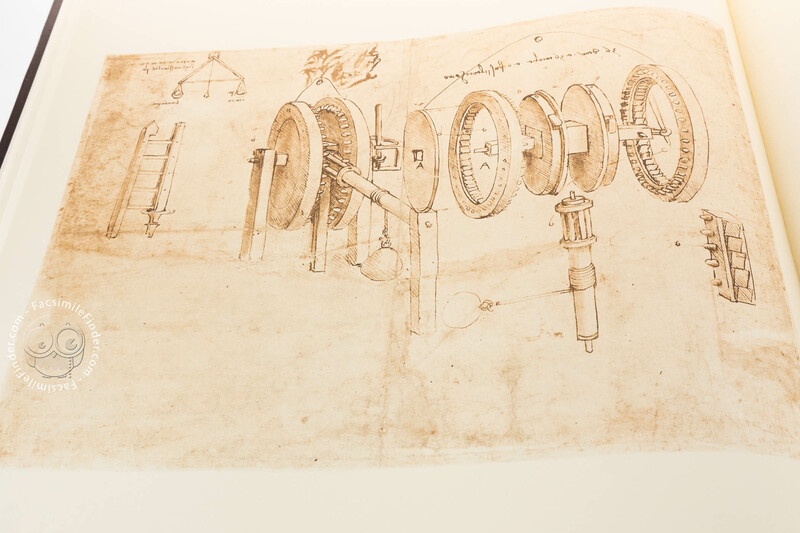 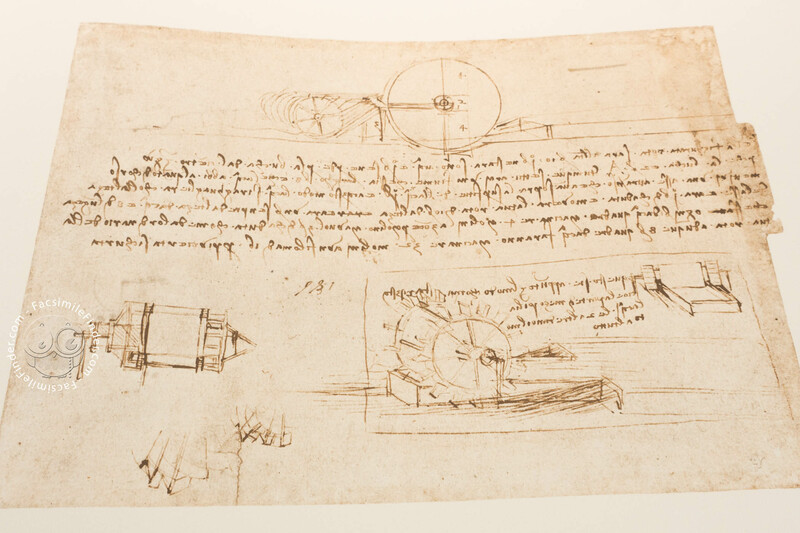 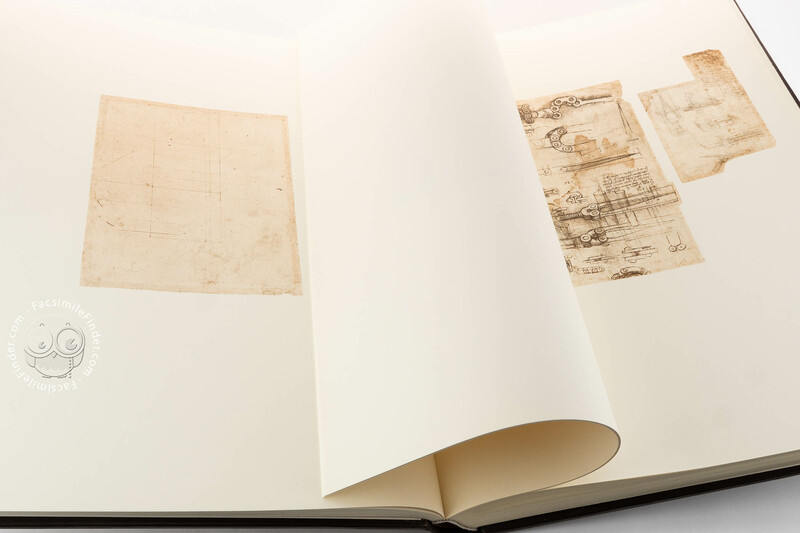 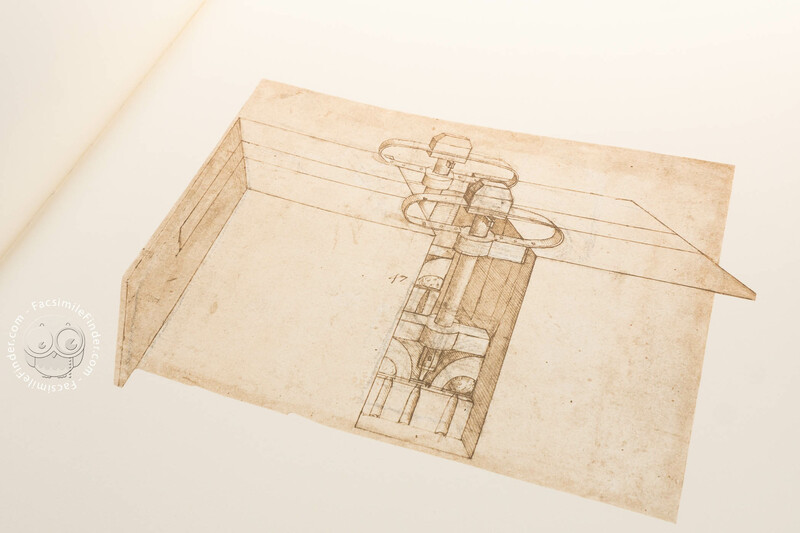 Using these he created a curious and spectacular montage representing every aspect of Leonardo’s astonishing genius: his impassioned interest for mechanics and mathematics, astronomy, physical geography, botany, chemistry and anatomy, as well as the figurative arts. 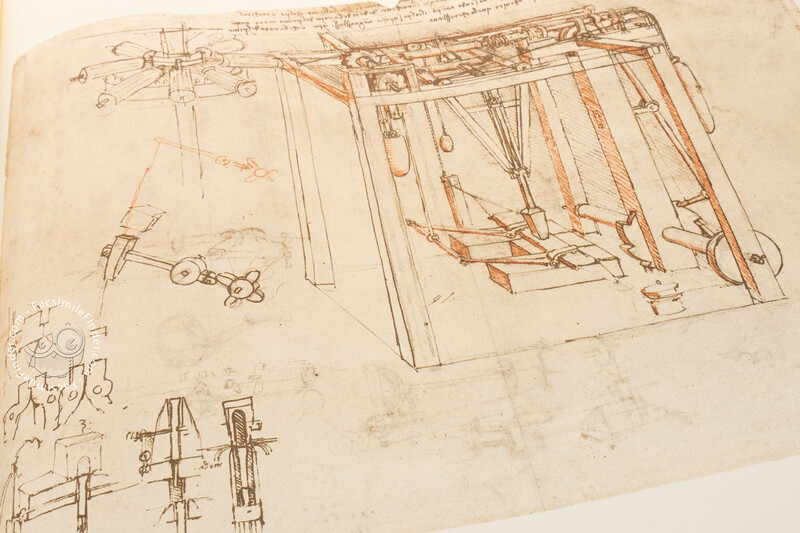 Included are well-known designs for innovative technical projects, hydraulic devices, weapons, fortifications, flying machines, boats and automatons, in addition to the studies rich in theoretical and practical annotations for The Adoration of the Magi, Leda and the Swan, and the Battle of Anghiari. 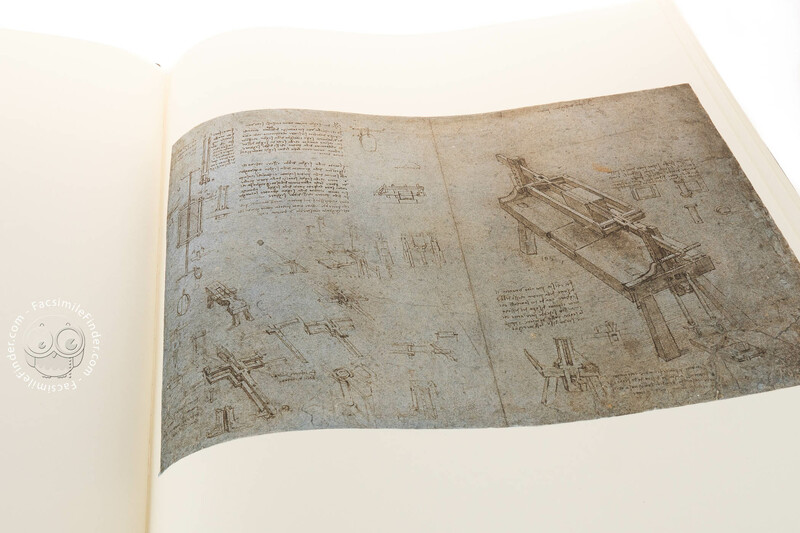 The work includes the plans for the unexecuted equestrian monuments to Francesco Sforza and Gian Giacomo Trivulzio, as well as architectural plans for the urban renewal of Milan and the royal residence of Romorantin in France. 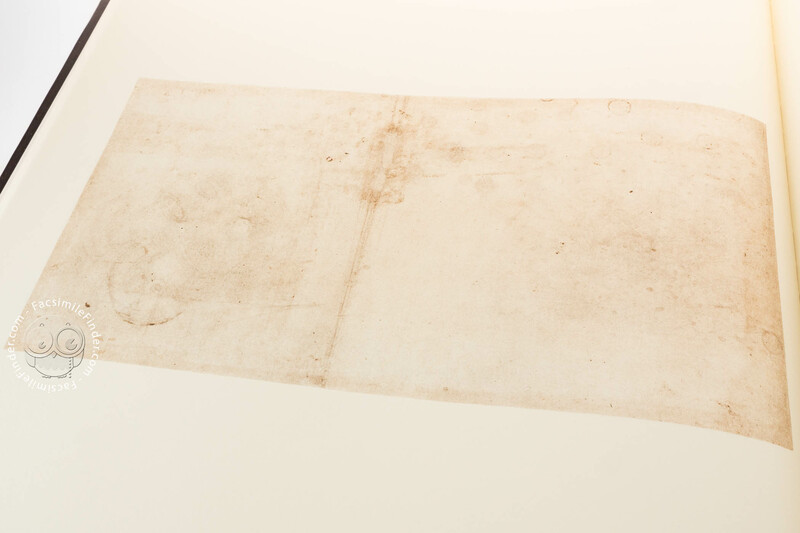 Manuscript book on paper − 65 × 44 cm − 1119 pp. 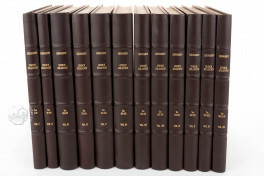 - 12 vols. 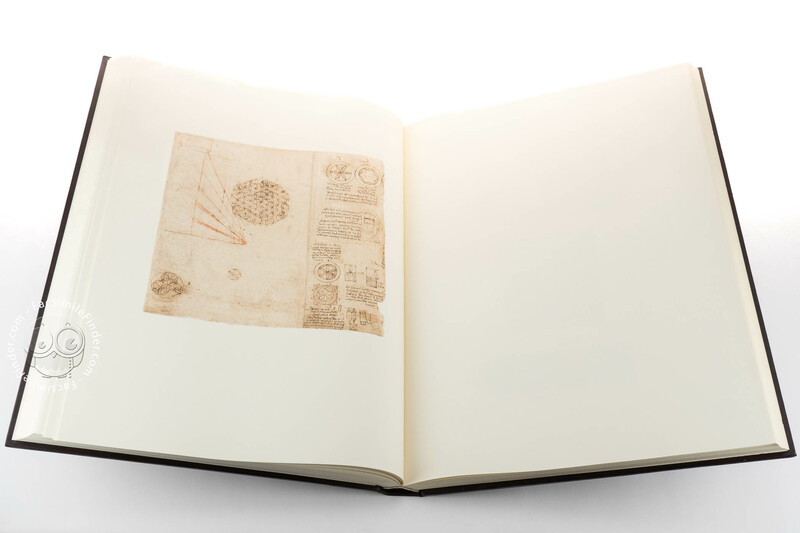 Codex Atlanticus facsimile edition by Giunti Editore. 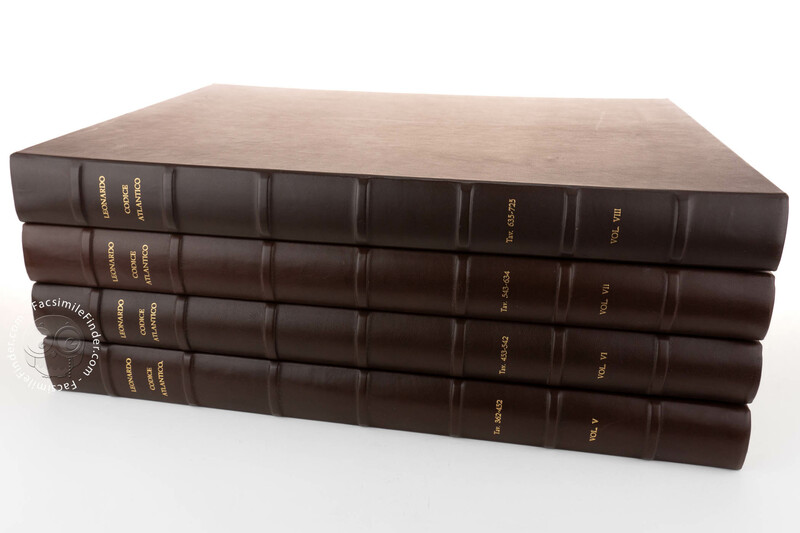 Commentary (Italian) by Marinoni, Augusto; Marani, Pietro C.
Full-size color reproduction of the entire original document, Codex Atlanticus: the facsimile attempts to replicate the look-and-feel and physical features of the original document; pages are trimmed according to the original format; the binding might not be consistent with the current document binding. 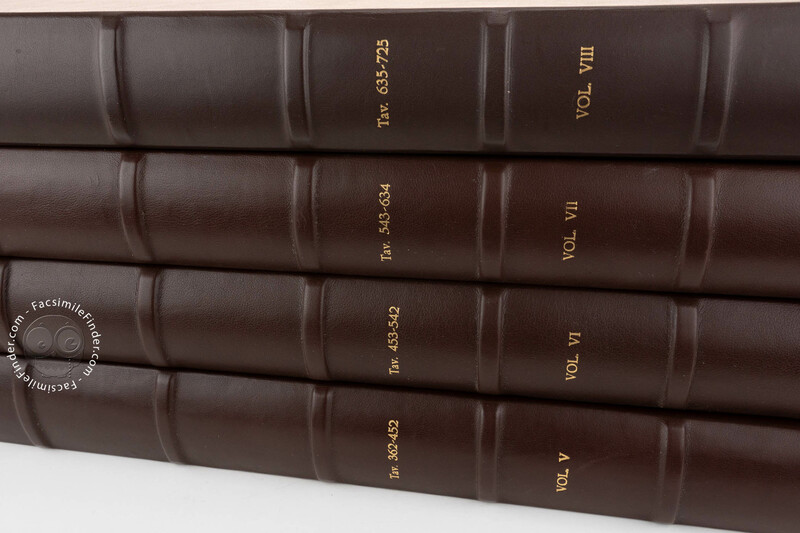 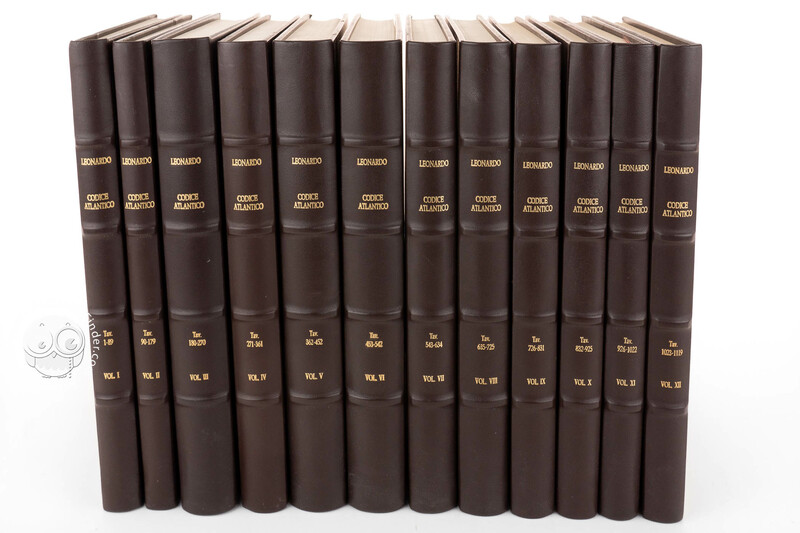 Facsimiles (12 volumes): each volume on size 440 x 603 mm. 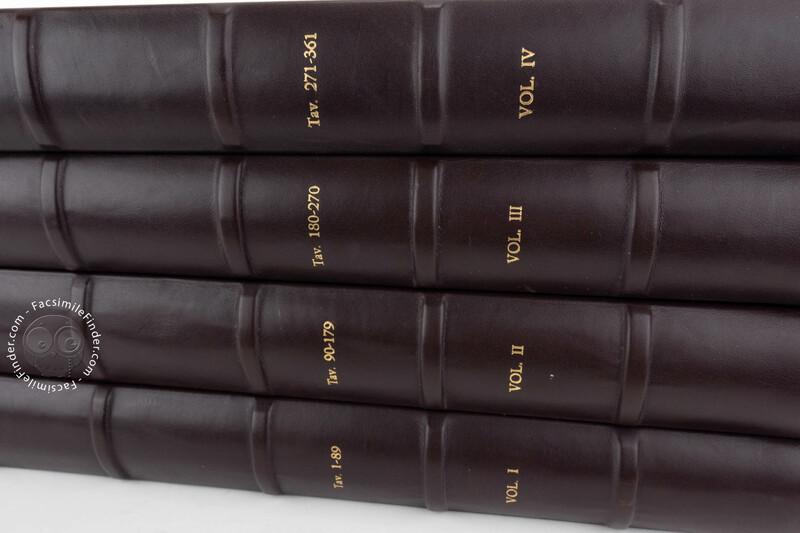 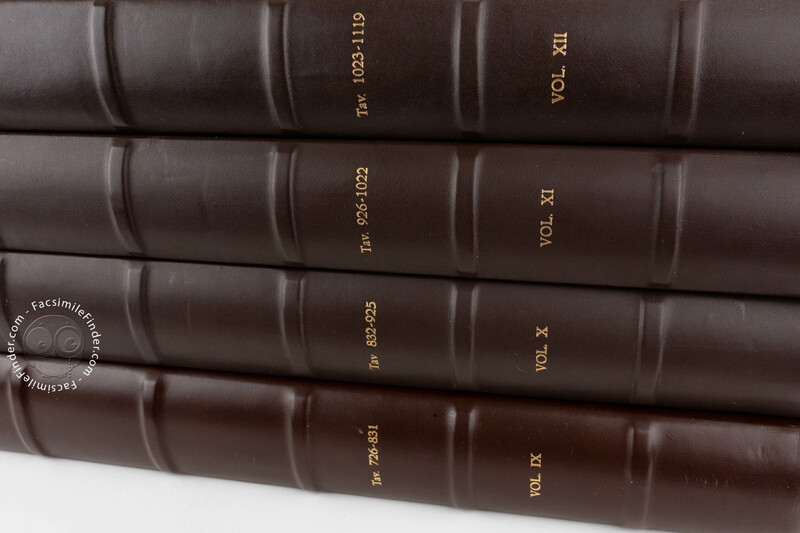 Diplomatic and critical transcription (12 volumes) edited by Augusto Marinoni and a volume containing the subject index and the alphabetical index edited by Pietro C. Marani. Each volume (size 215 x 300 mm) is hand-bound in leather with gold tooling on the spine.